Ghostwriter Spills Secrets On How Medical Manuscripts Get Made : Shots - Health News Ever wondered about the folks who really write some of the biggest papers published in medical journals around the world? 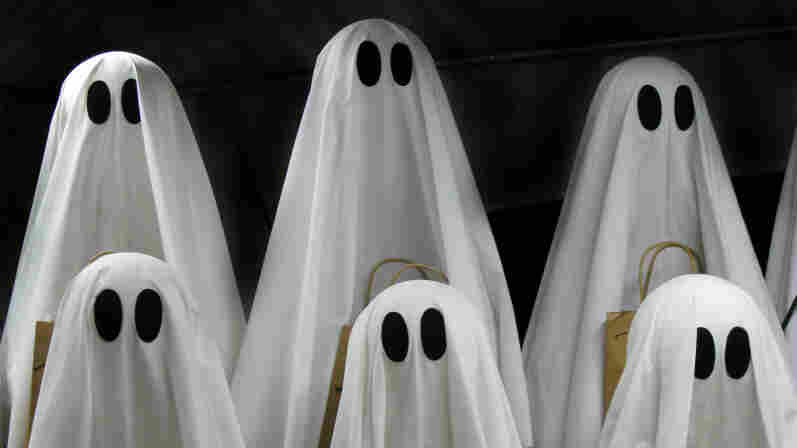 A ghostwriter sits down for a pre-Halloween chat about how the scientific sausage is made. To me, this is scary. An anonymous medical writer reveals to Phil Davis over at The Scholarly Kitchen blog exactly how the scientific sausage is made. Drugmakers have the production of favorable articles about their wares down to a fine art. Study results are buffed. Marketing spin is applied. And the prestigious authors are picked to put their names on the resulting papers, like the cherry on top. The good ones get $100 - $150 an hour. Figure $3,000 or $4,000 a paper. Surely, these manufactured papers don't show up in the best journals. Do they? My work appears in almost every medical field, from the New England Journal of Medicine, to the Journal of Clinical Oncology, Oncology, PLoS Medicine, American Journal of Psychiatry, Cardiology, and supplements to most of these journals as well. How could we figure out which papers have been doctored? The ghost says it isn't hard, if you know the public author or have seen him or her talk about the work. The stand-in isn't as "clear, or jumps around a lot, or can't speak the language, yet has a publication in the NEJM...." Also, keep your eye on the doctors who are busy treating patients and also somehow are prolific authors. This ghost has a pretty good sense of humor. He? She? hasn't seen a refection in the mirror because there's never enough light to do so. And what's the ghost going to be for Halloween? "A medical researcher," the spirit quips. "Or the fifth dentist (4 out of 5 dentists agree...)."